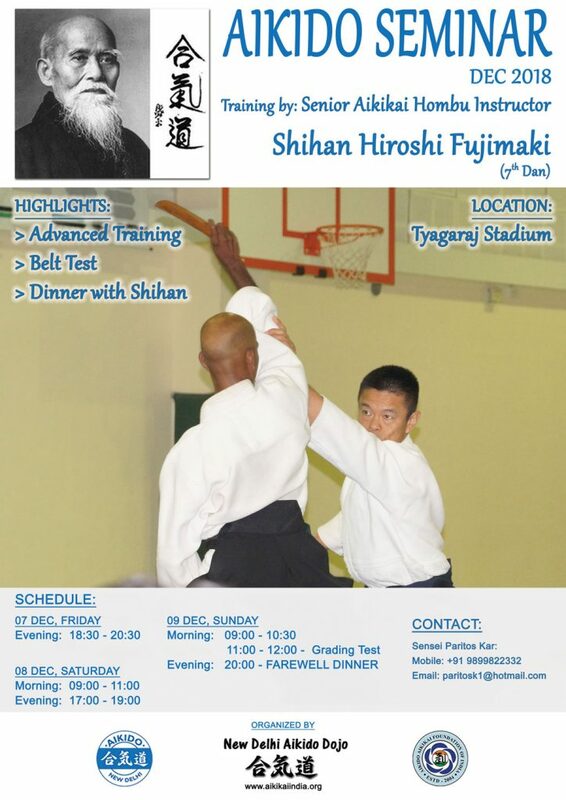 This is to inform you that New Delhi Aikido Dojo is organizing a seminar from 07-12-2017 to 09-12-2017 conducted by Shihan Fujimaki Hiroshi, 7th Dan. of Aikikai Hombu. Kindly try to attend the seminar. Seminar schedule is given below.